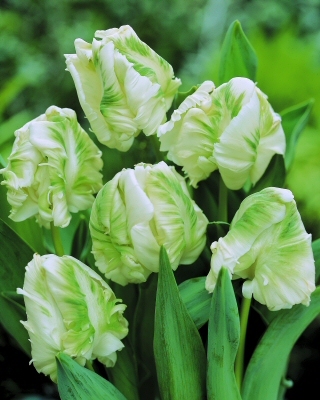 Tulips are a great bulb to use in a contemporary garden – they are tall and structural and provide a velvety texture and strappy green leaves early in the year when a lot of other plants are still getting going. So planning bulbs into your garden space is a great idea – so long as you remember when you need to plant them. Often we have been approached by clients who want tulips in their schemes in Spring, when really they should have been planted between October and December, before the first frosts. This is because tulips need a bit of a cold snap to get going. 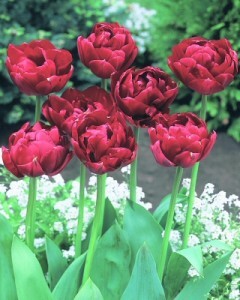 So, as we creep in to winter, now is the time to be thinking about and ordering your tulips ready for planting. We like to see tulips planted en masse in only a couple of colours, but it depends on your preferences as to whether you go early, single, double, fringed, tall…. Here are our top 5 tulips for use in a contemporary garden. 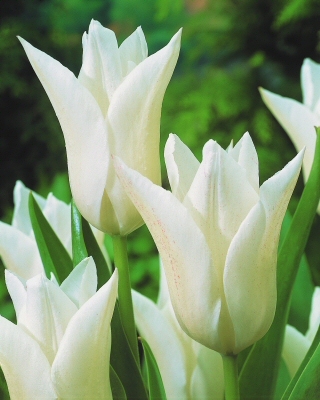 This lovely tall, lily flowered tulip has a great shape and elegance and the clear white makes a great statement for the April/May garden. 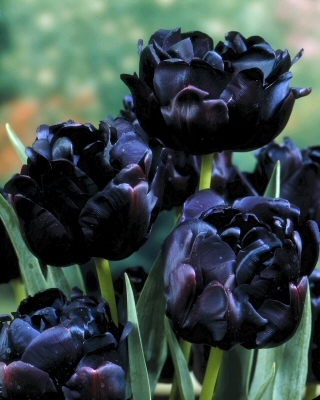 This is a great, dark tulip which is almost black, and looks fantastic planted in huge groups. It is the double form of the very popular Queen of the Night and flowers in April/May. This was always one of our favourite tulips but it is becoming harder to find. 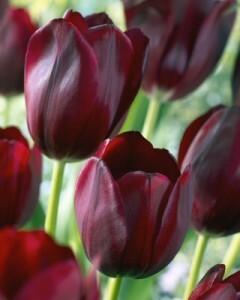 The deep maroony red is just stunning and it makes a change from many other red tulips. April/May flowering again and it makes a great cut flower. Parrot tulips often divide people. They are the marmite of the tulip world – you either love them or hate them. We adore them in simple, neutral colour combinations, like this wonderful white and green combination in Super Parrot. These tulips are just stunning – the silky smooth petals are just wonderful and they are brilliantly sturdy, flowering in the mid season of April/May. As single blooms they are nice and simple and provide a great foil for silvery coloured foliage elsewhere in the garden. If you select your tulips well there is no reason why they cannot sit beautifully in a contemporary garden – just stick to a small colour palette and plant masses of them. Generally, the more you buy the cheaper they are and the more unusual the tulip, the more you pay but expect to pay anything from 50p to over a pound per bulb. 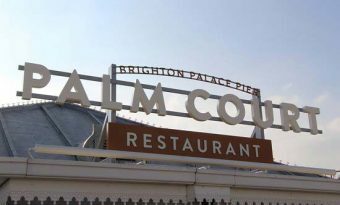 Get all of the above at Blom’s Bulbs – RHS Chelsea Flower Show Gold medallists and tulip experts.